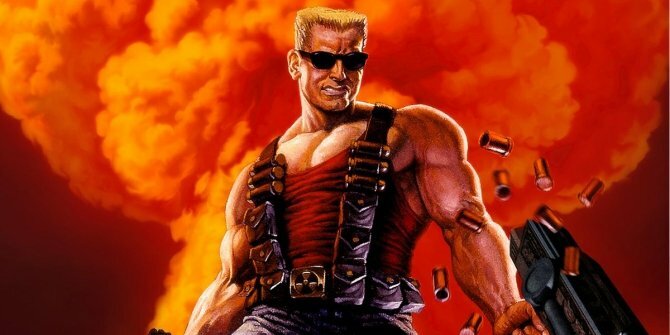 The live-action Duke Nukem movie currently gestating over at Paramount and Michael Bay’s Platinum Dunes may wind up borrowing cues from Deadpool when it comes to story tone and irreverent humor. In the eyes of the film’s producers, Andrew Form and Brad Fuller, Duke Nukem will sink or swim depending on its ability to craft a compelling story all the while honoring the cigar-chomping demon killer and, perhaps more importantly, his devil-may-care attitude. We are working on Duke Nukem right now. It’s going to be about tone. That’s about tone. How do you nail that tone in the way that Deadpool nailed the tone? I think we have to do that and if we don’t get the tone right then we’re not going to make the movie. Perhaps the more pressing question is whether Duke Nukem, a deeply problematic and flawed character who spouts misogynistic one-liners with every second breath, can possibly be adapted in the current climate of the MeToo movement. He’s an egotistical loud-mouth, after all, but Form believes DN’s excessive masculinity can be used in the film’s favor. And who better to spearhead Duke Nukem than beloved WWE wrestler and burgeoning actor, John Cena? At the time of writing, Cena is still attached to the live-action video game movie, pending the finalized version of the script. Yeah, that’s what we’re working with now. He is. Yes. We don’t have a script yet, so that is confirmed at this point but if he reads the script and he doesn’t like the script I’m sure there’s ways that he could pull out, but right now he’s our guy. As such, Duke Nukem is still incubating in the early stages of development, but what do you make of those potential similarities with Deadpool? You can, as always, share your thoughts below.